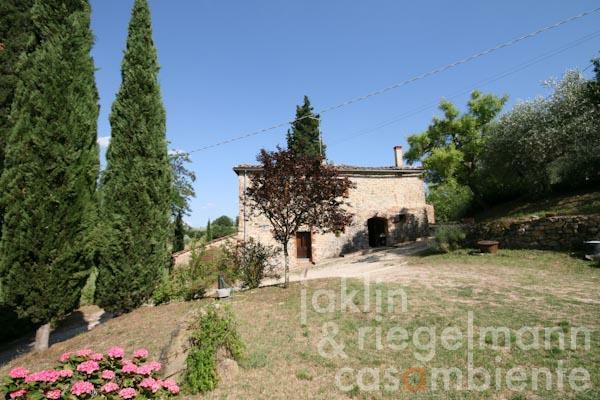 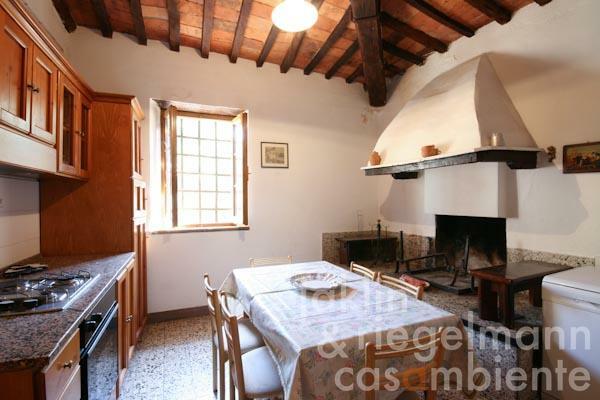 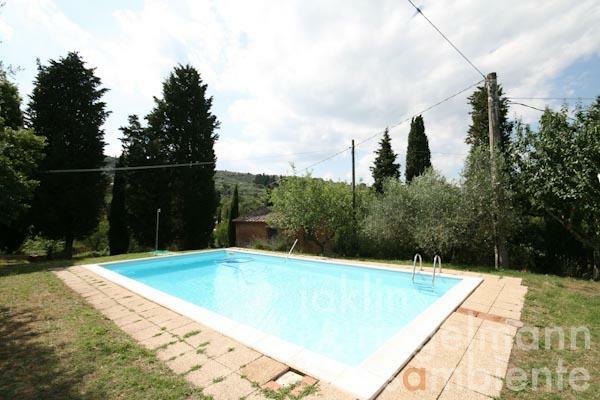 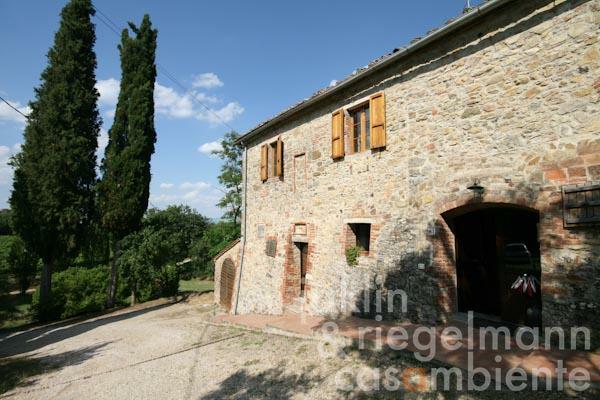 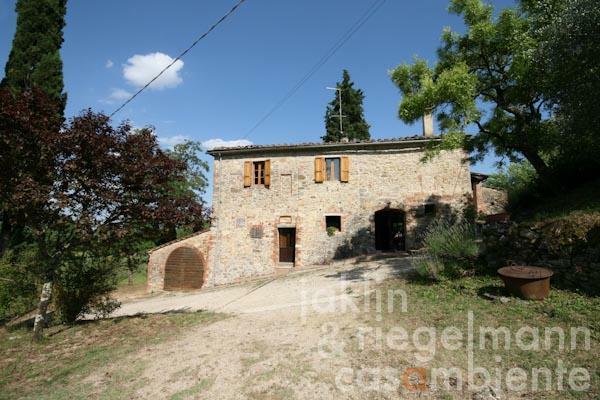 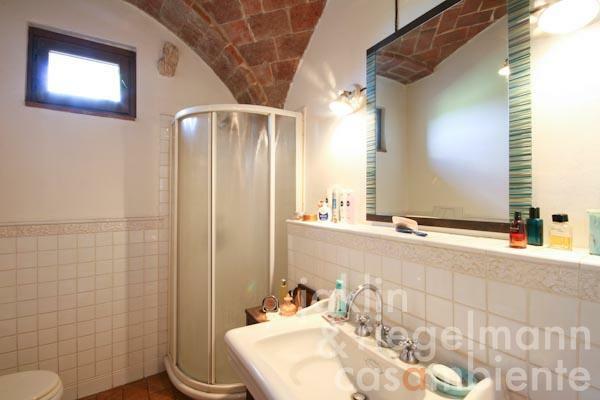 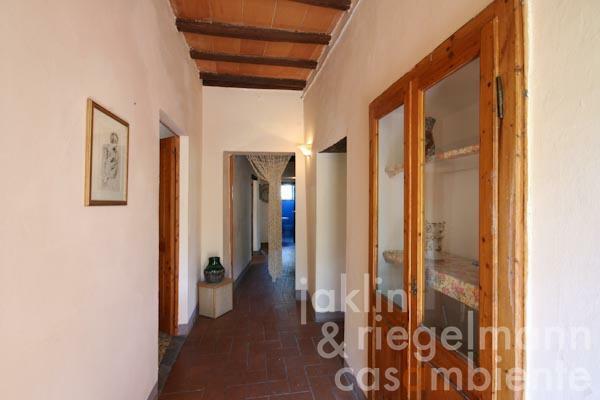 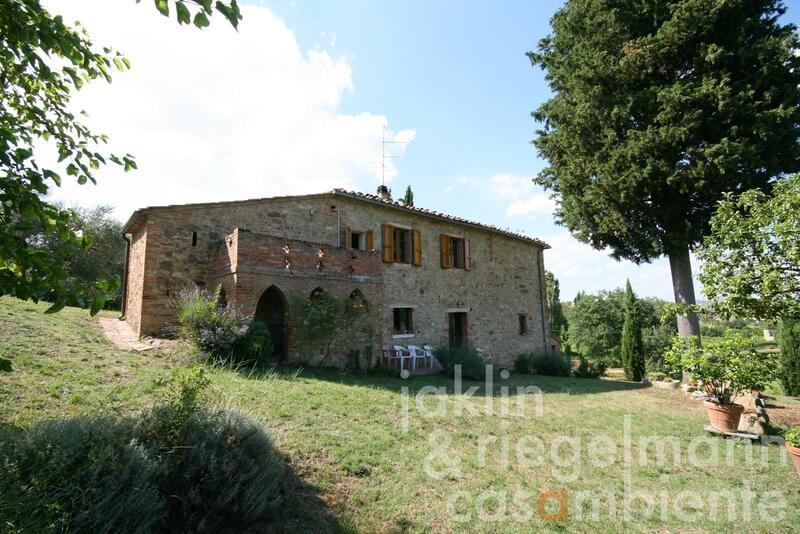 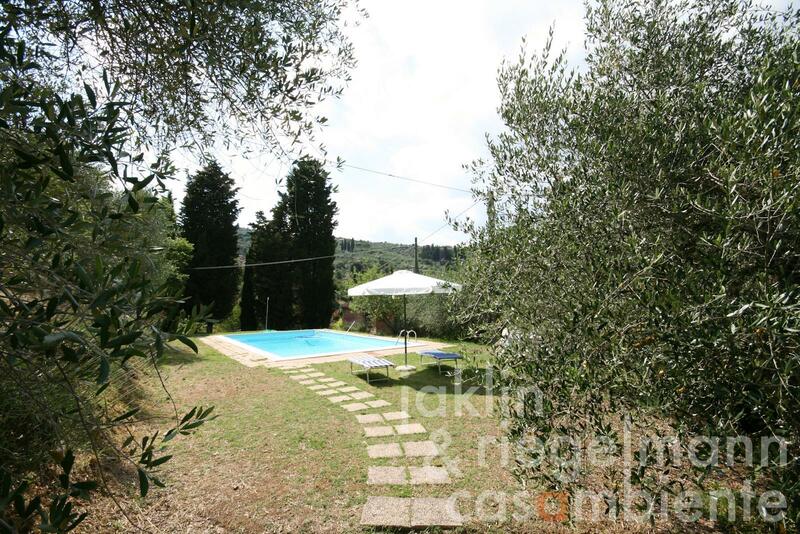 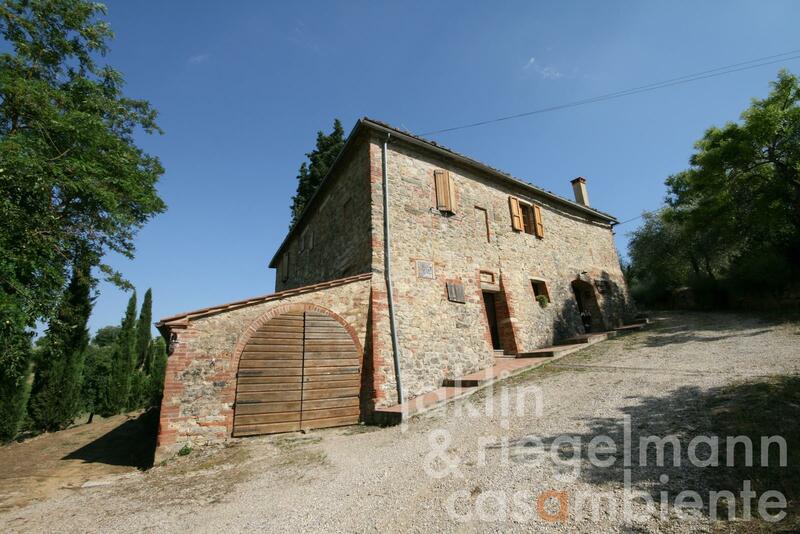 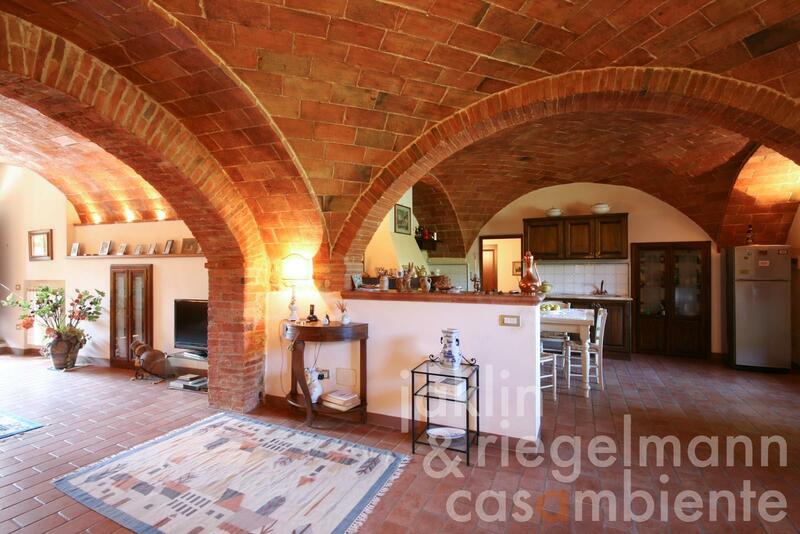 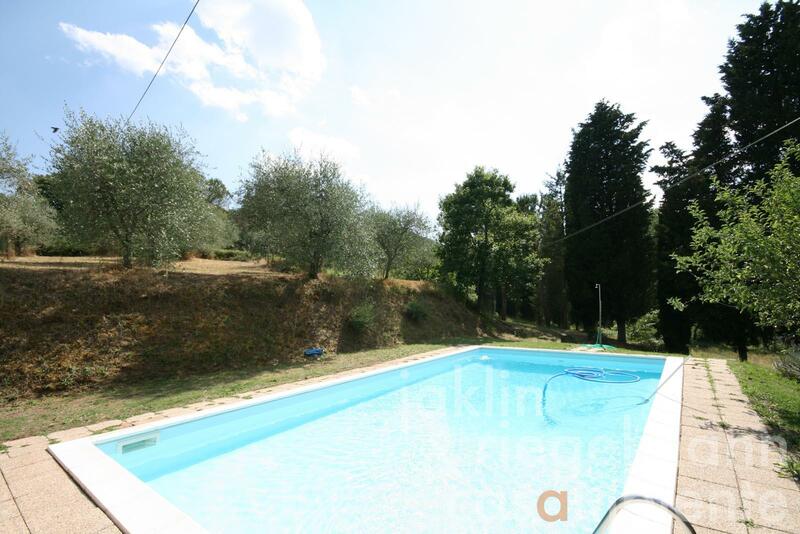 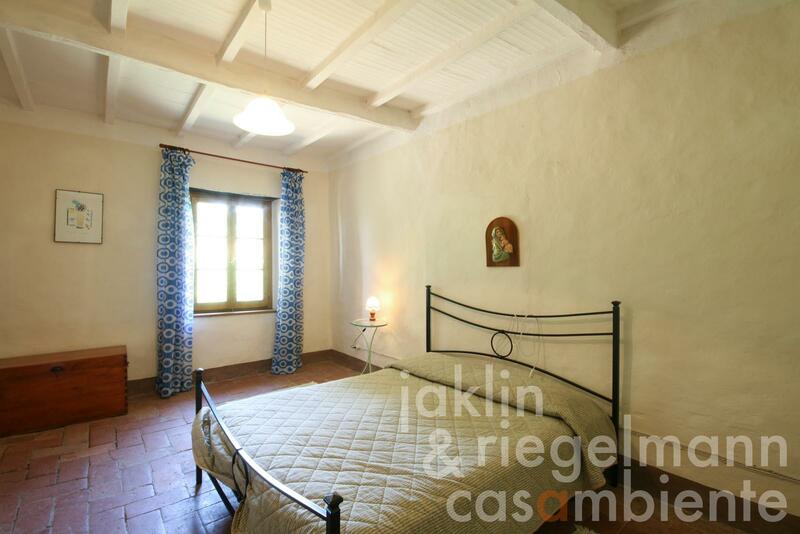 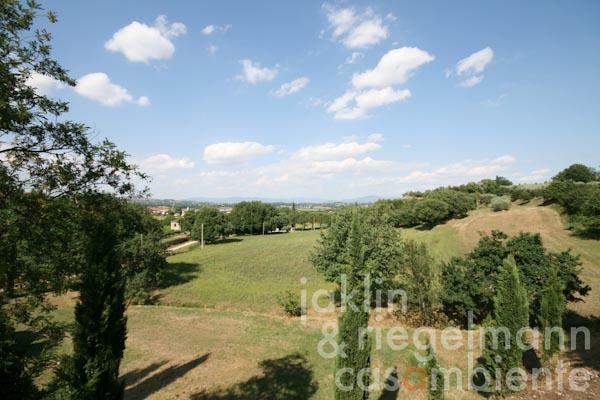 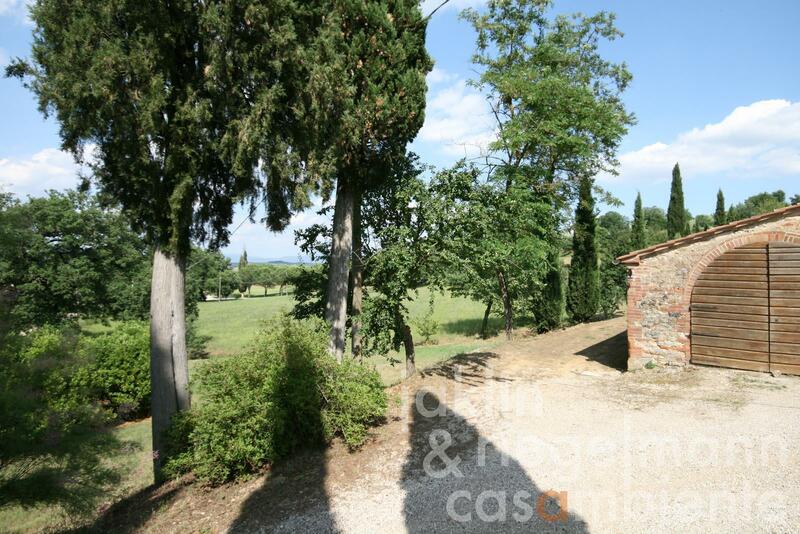 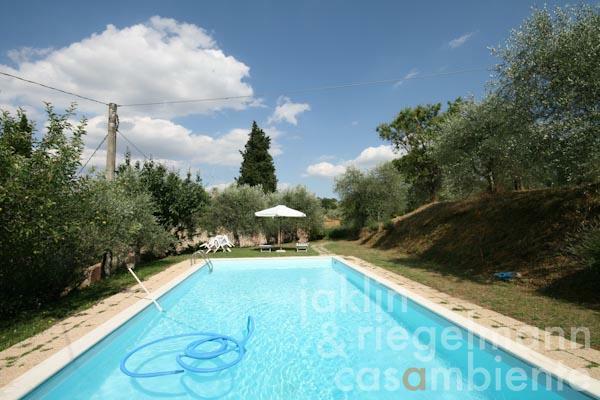 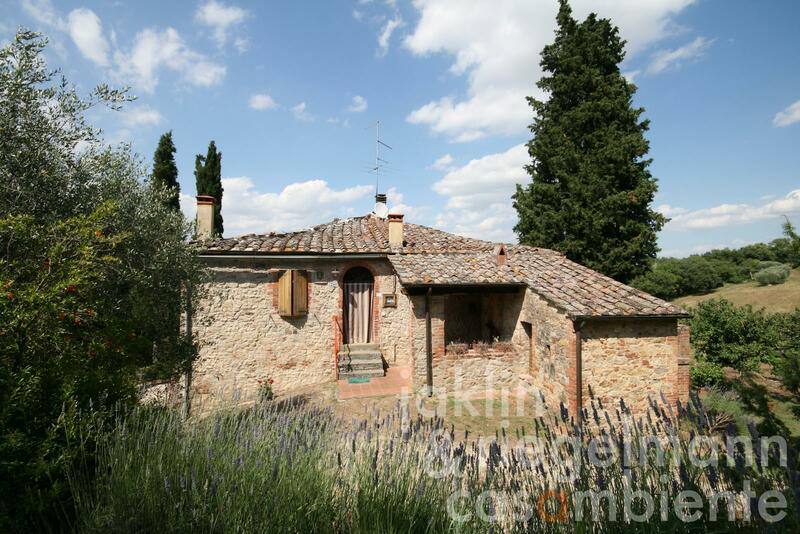 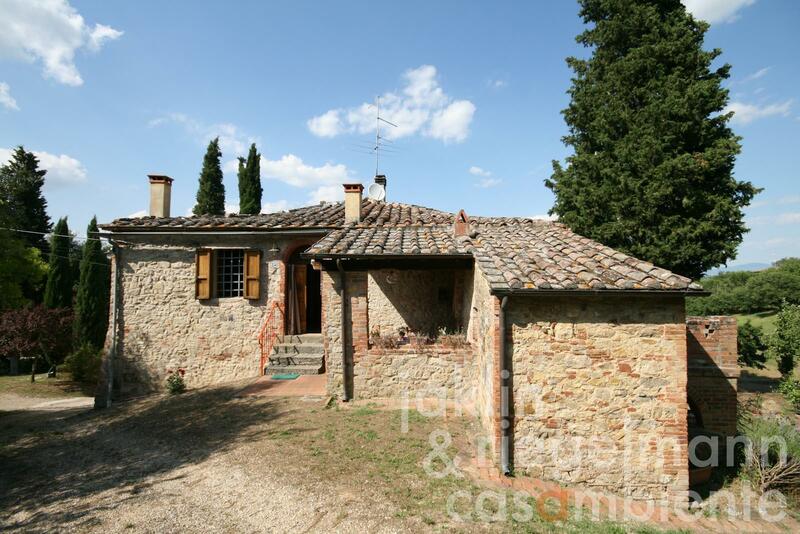 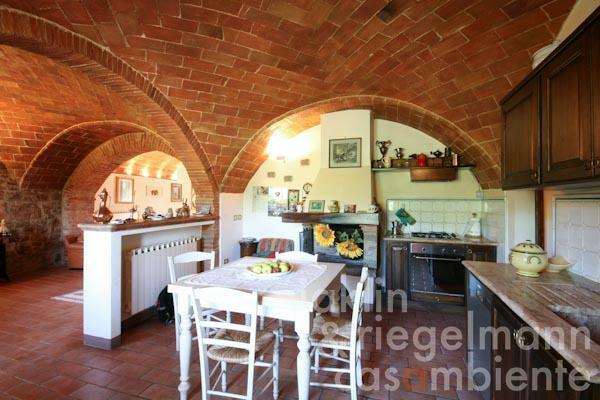 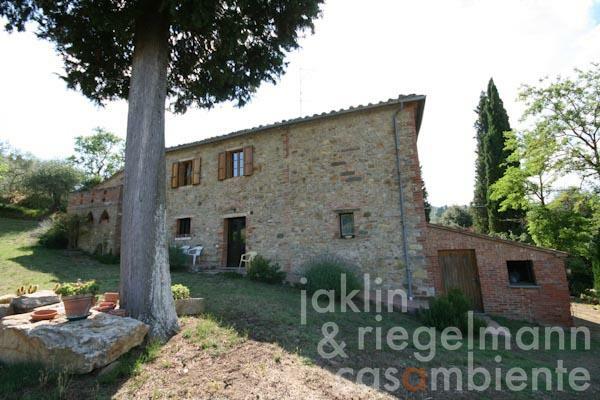 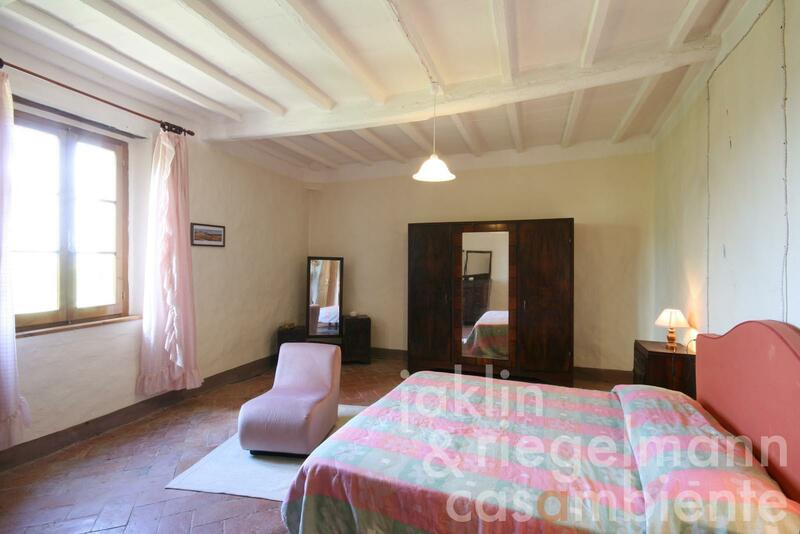 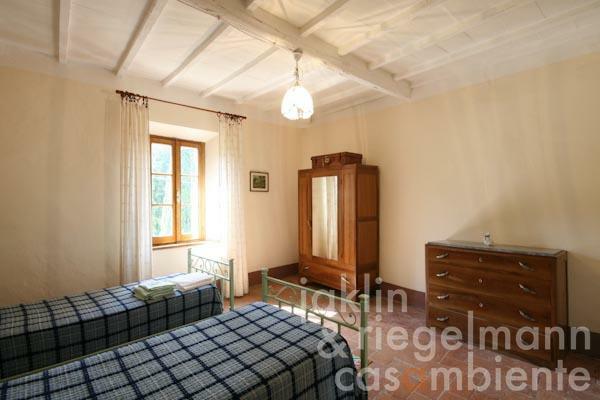 Restored country house with beautiful vaulted ceilings close to Sinalunga in Tuscany for sale. 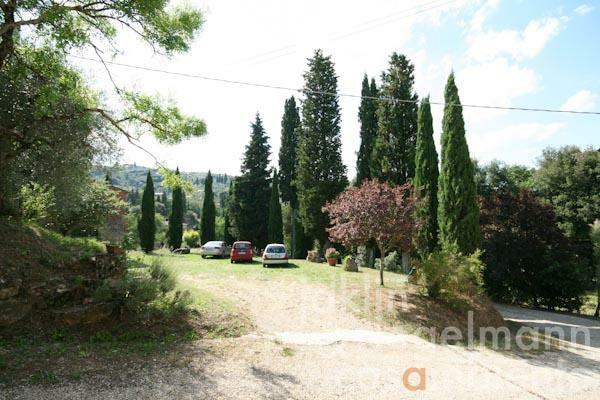 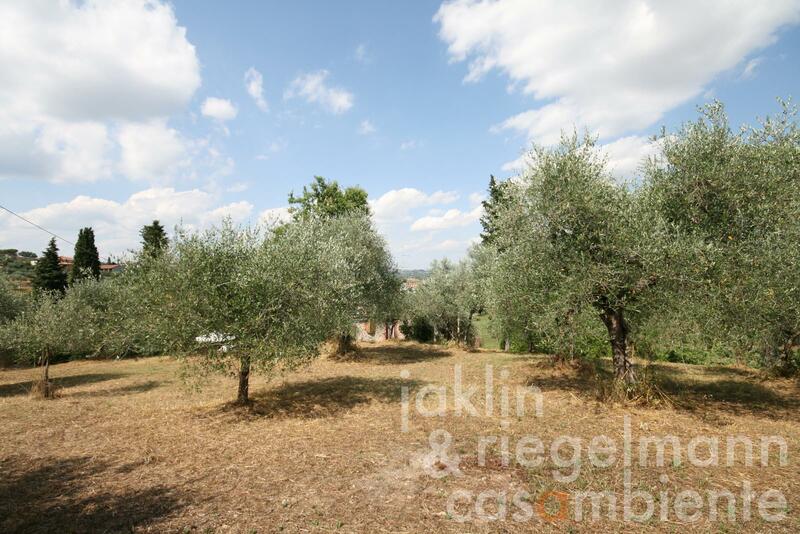 The estate is surrounded by two hectares of arable land, an annexe, swimming pool, cypress trees and olive grove. 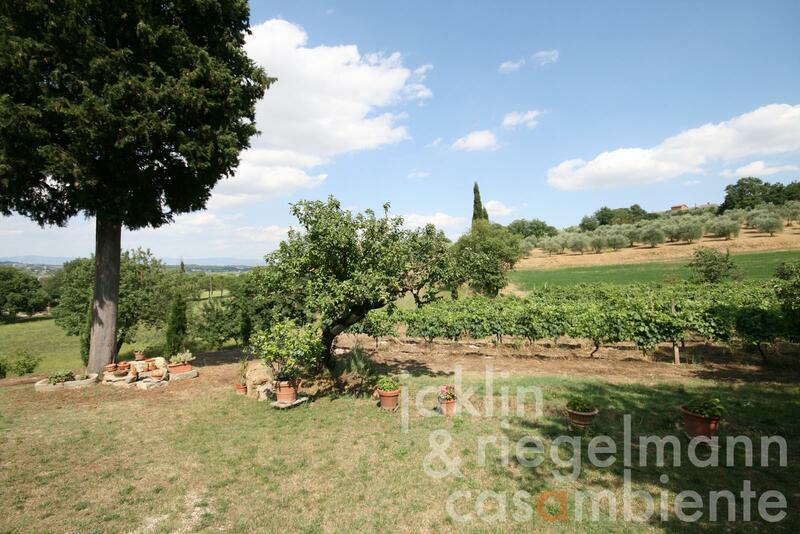 The property offers panoramic views across the Tuscan countryside and onto the mediaeval town Lucignano. 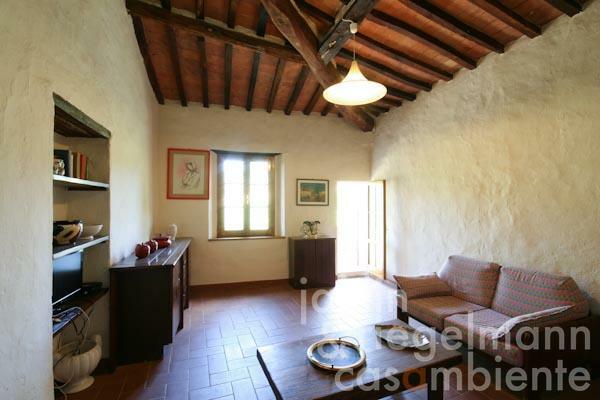 The old-town of Sinalunga is only 3 km away and can be easily reached. A covered terrace in front of the house is ideal to dine outdoors. 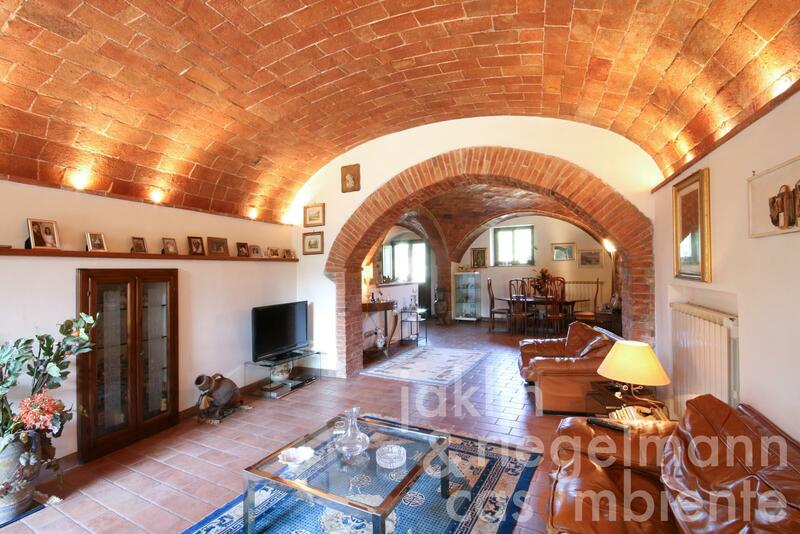 Restoration works were carried out with taste, preserving the rare vaulted ceilings on the entire ground floor. The vaulted ceilings and flooring are held in Terracotta. 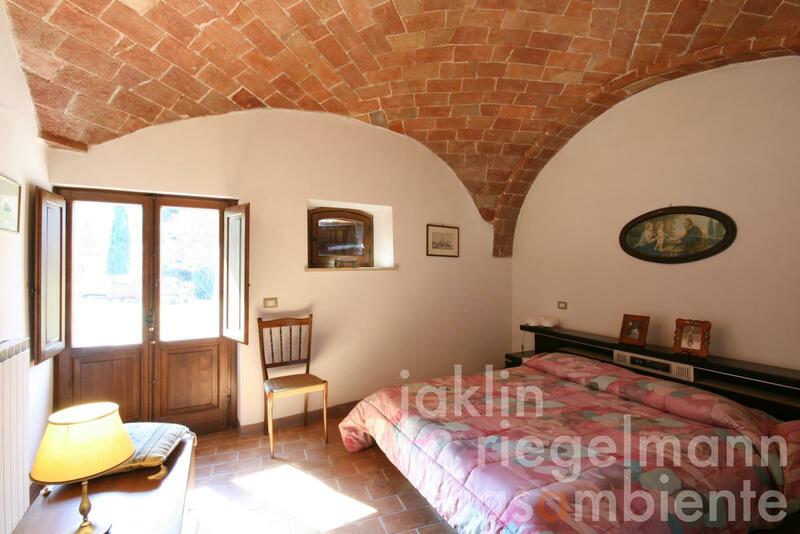 The annexe may be transformed into additional living area, creating a beautiful residence for guests. 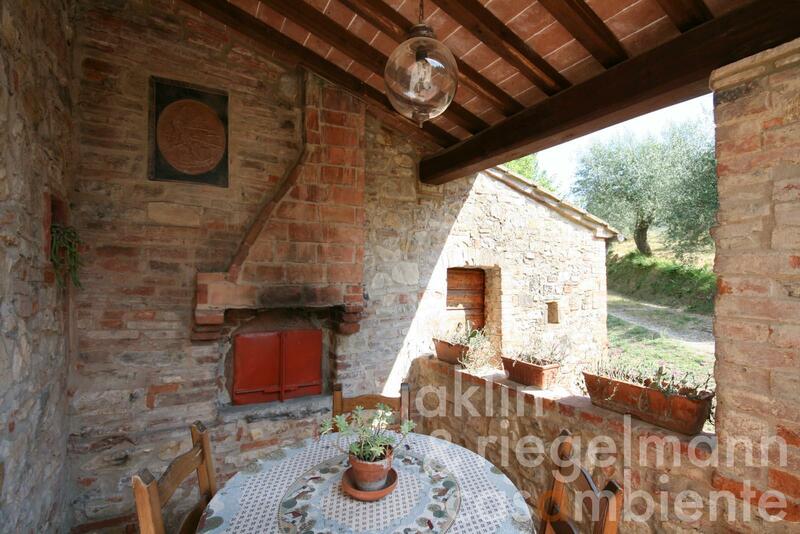 Italy, region Tuscany, province Siena, municipality Sinalunga. 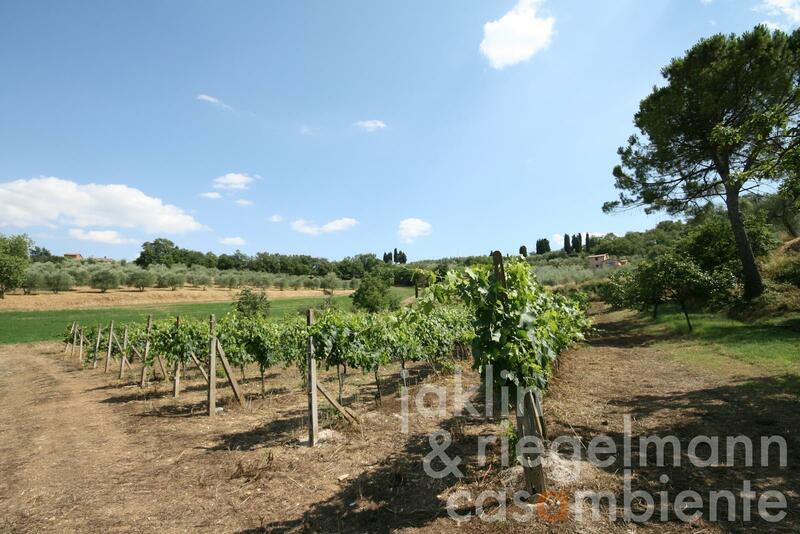 3.40 ha with vineyard and olive grove. 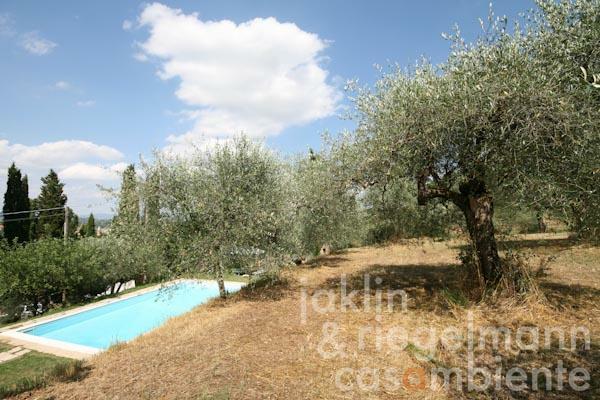 Electricity, mains water, own well water, central heating, fireplace, gas tank, telephone, broadband internet access, satellite-TV, swimming pool, garage, terrace, vineyard, olive grove, garden.